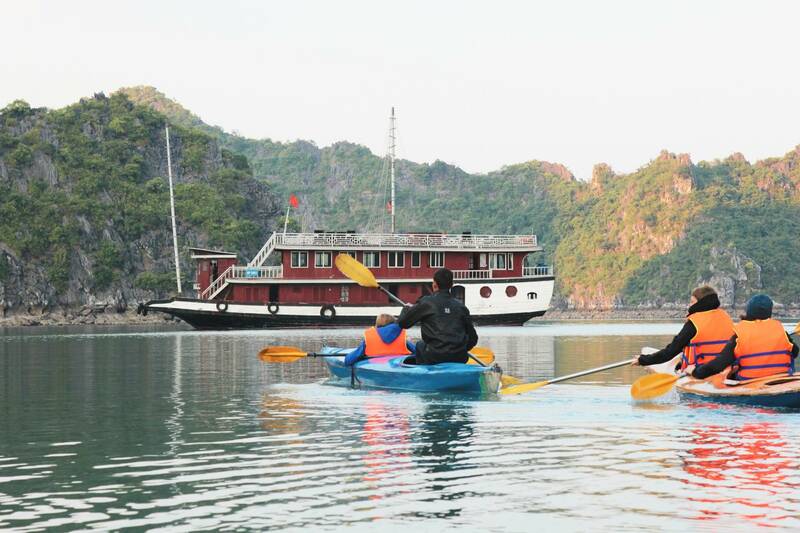 Cruise along this unique and fascinating scenery of Halong Bay on your own cozy mini private cruise, see the karst islands up close and personal and taste traditional Vietnamese dishes during lunch and dinner. 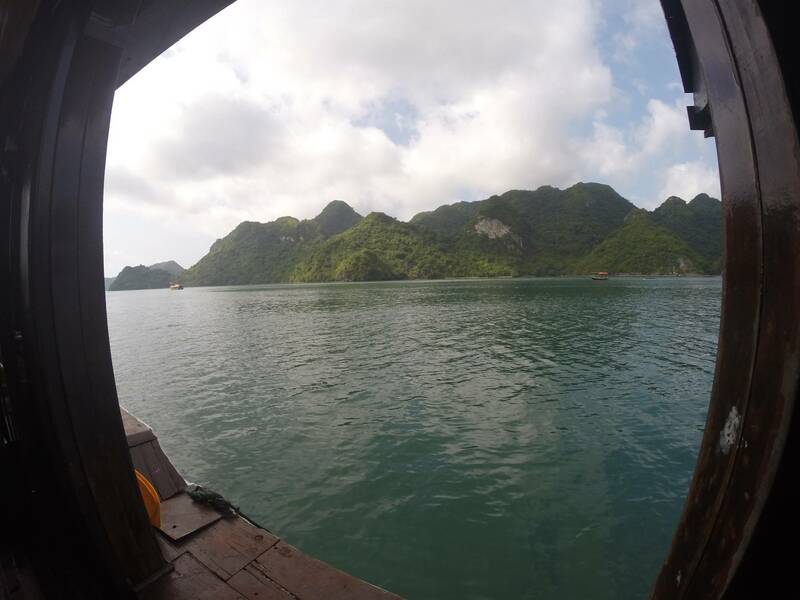 Get the chance to explore nature like you never did before by enjoying the karst mountain views on your private cruise, taking off in a kayak to explore the area, take a swim and rent a bike to ride along Cat Ba Island. Visit local fishing villages, nearby caves and narrow lagoons. 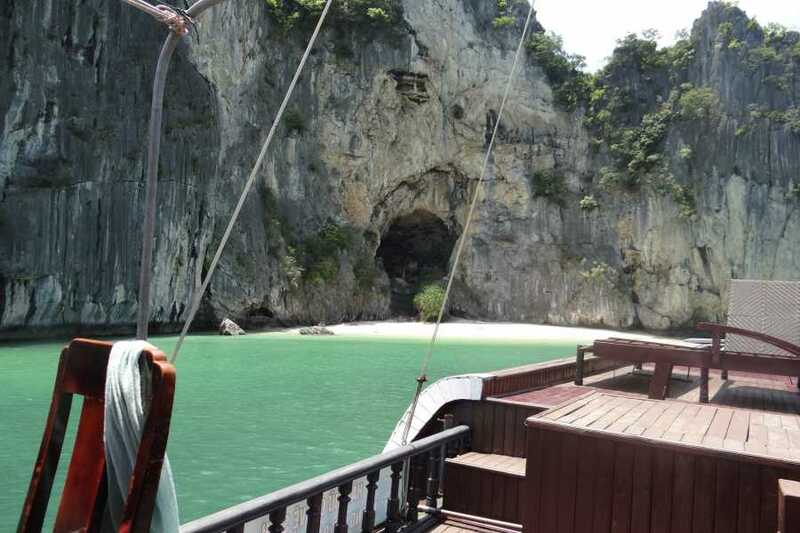 Discover private beaches, learn about the environment with your personal tour guide and do it with just your private group! 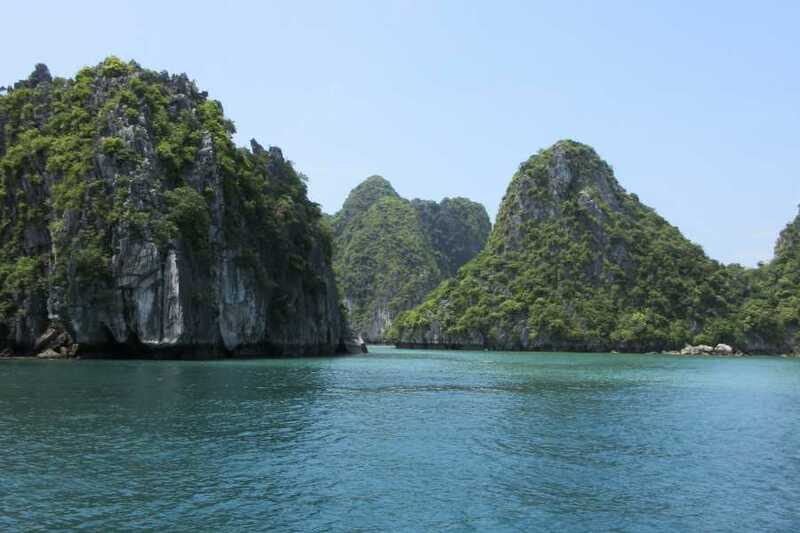 A beautiful area like Halong Bay has to be protected. 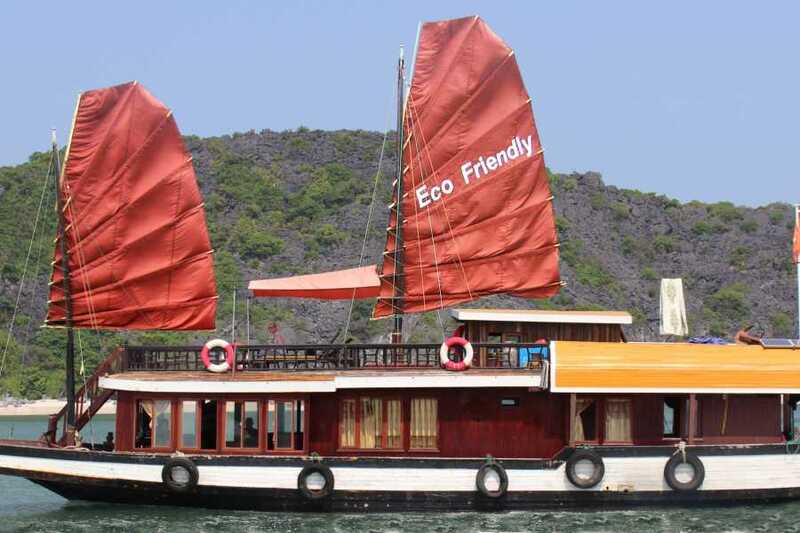 That’s why have solar energy panels on our private boat. 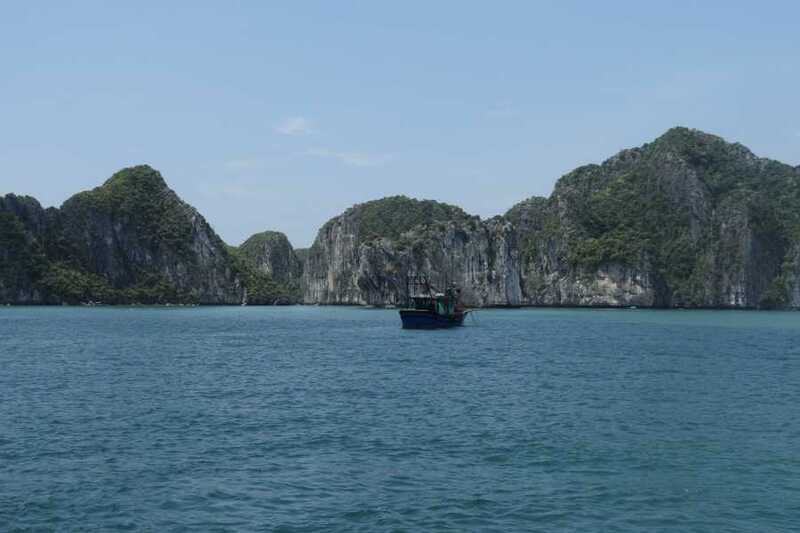 Furthermore, nobody likes crowded places. 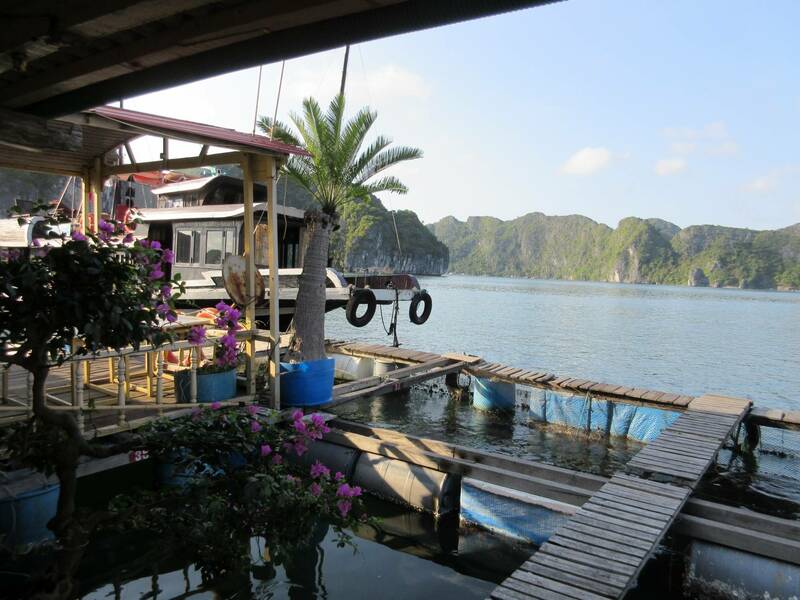 We’ll avoid the touristic areas by taking a non –touristic route, so the only thing you have to do is sit back and have a good time. The bay 7,000 ha big and has 139 beautiful, small and pristine sandy beaches, many of which lie between two stone mountains. 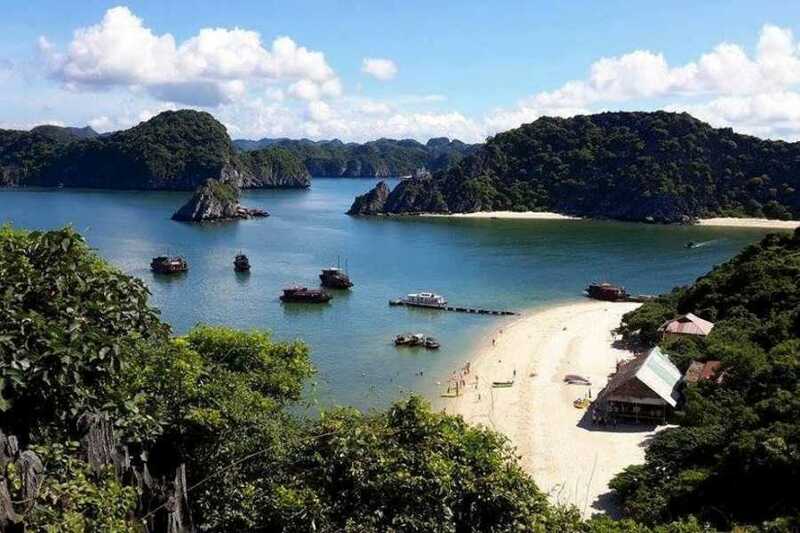 Just imagine that after a long day of exploration of caves and grottoes, you will feel entirely relaxed bathing the azure-blue waters of Halong or lying on the white sandy beaches. 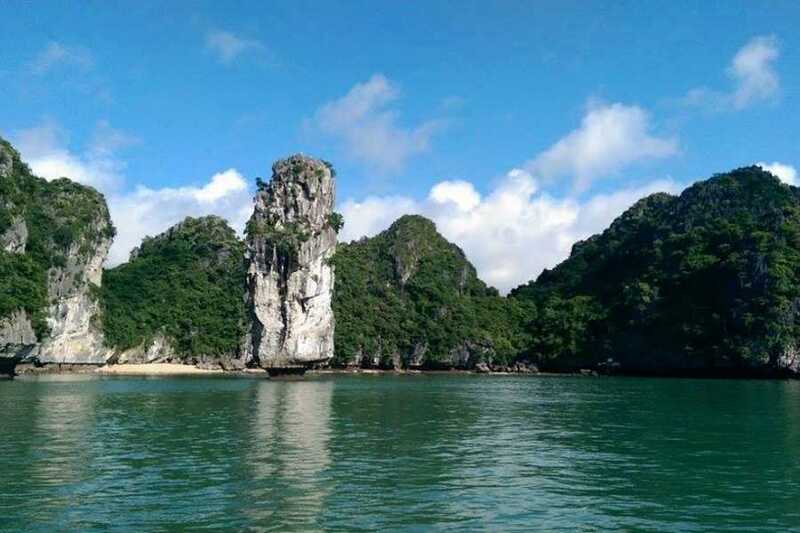 At night, you will be lured by the magnificent and splendid scenery of the bay and it will be an unforgettable experience to do an overnight in the Bay with a gentle breeze and the slightly salty air from the forest on the stone mount. 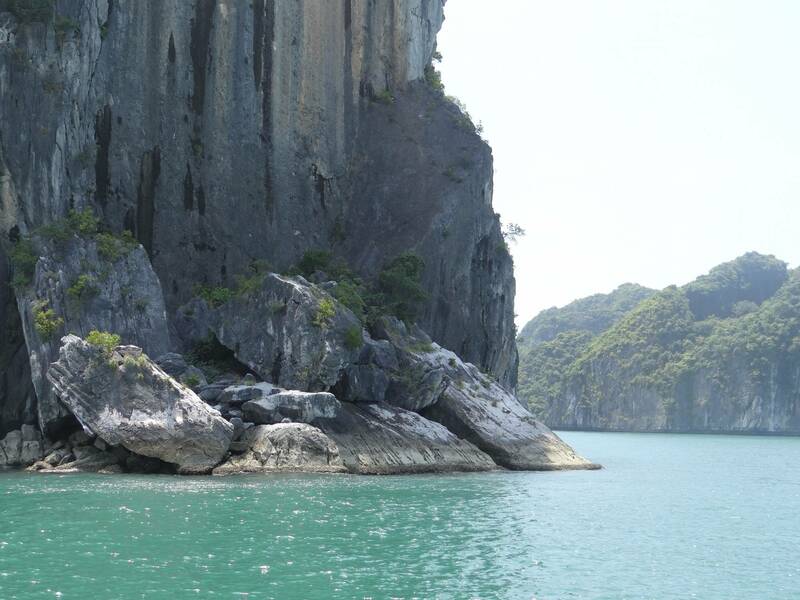 Wandering on the azure-blue beach, breathing in the ocean breeze and enjoying the tropical sunlight, along with a kayaking trip and maybe even some fishing, your trip to Lan Ha Bay will surely be a long lasting memory. We provide serveral options of every tour, so select your favourite activities and join us to visit the most breath-taking area in Vietnam: Halong Bay! 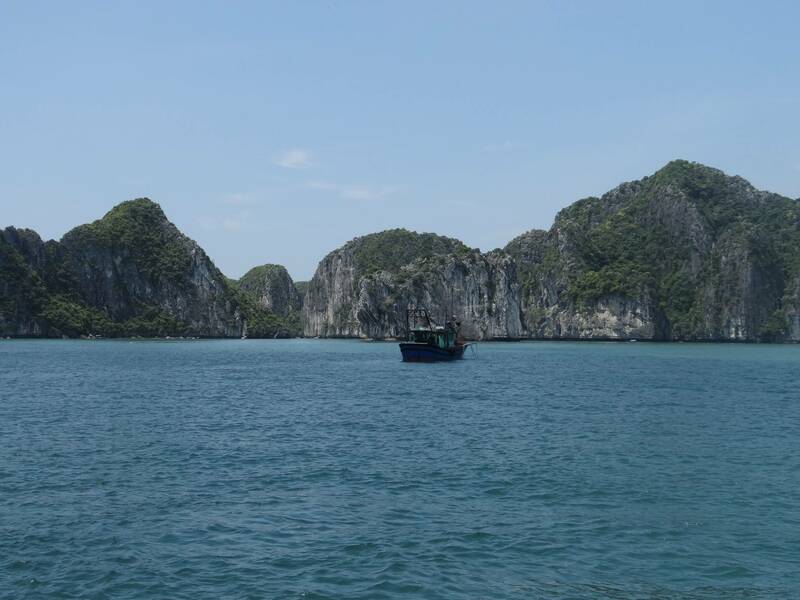 Read about all our tour options on our website and don’t hestitate to send us any questions you might have, we’d be happy to help you out. 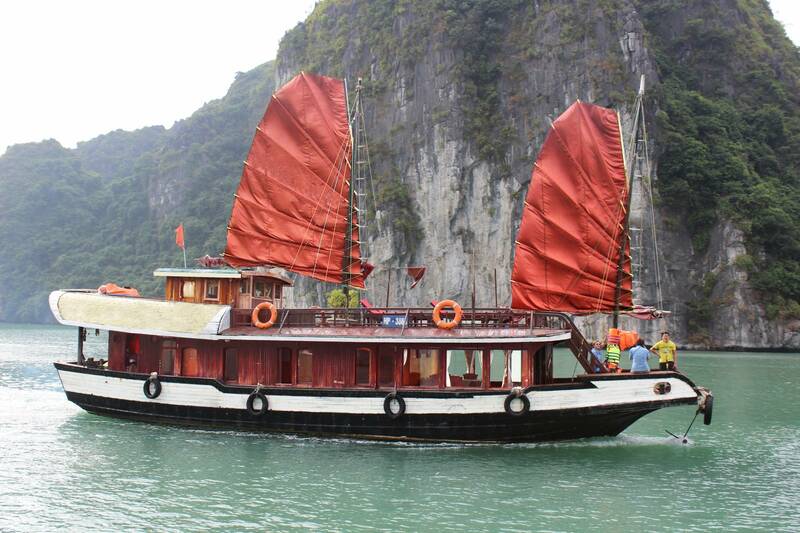 Are you ready for the "The Real Halong Bay Private Cruise Experience 2D1N"! 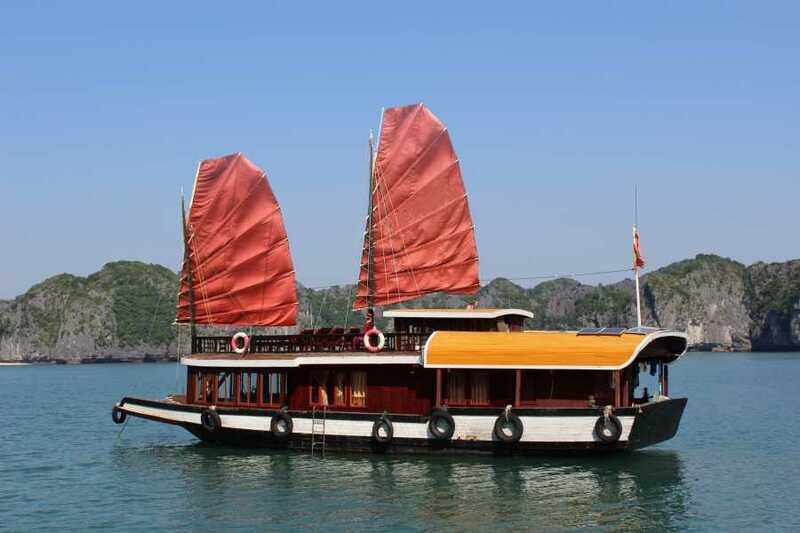 Wake up early as we will depart to Hai Phong Harbor around 6:30AM. 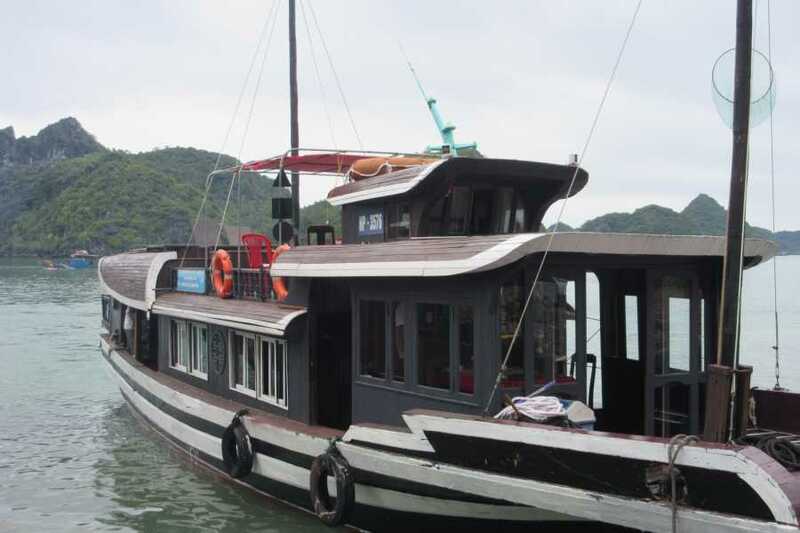 The hydrofoil (speed boat) from Hai Phong will take us to Cat Ba Island, where you will board you private cruise around 11AM. 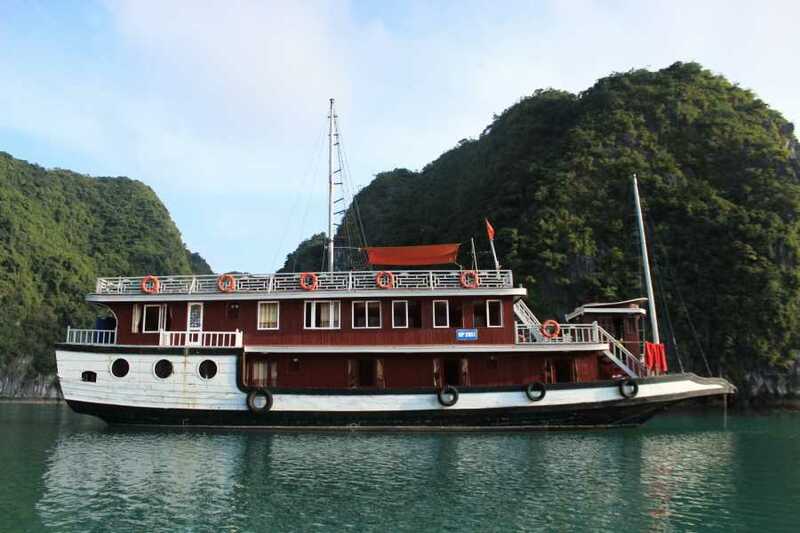 Your beautiful cruise trip along Halong Bay will start now! 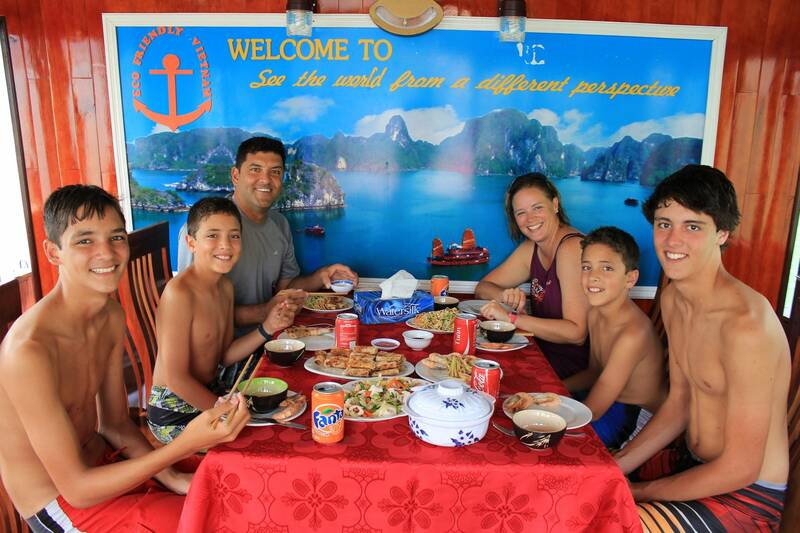 Sit back and relax with friends and family. 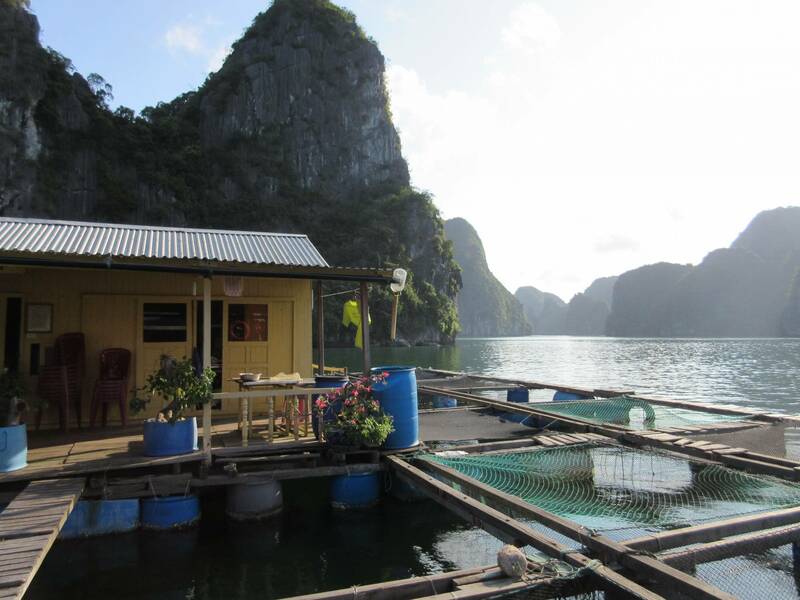 Our first stop is an authentic floating village where a fresh seafood lunch will be served. 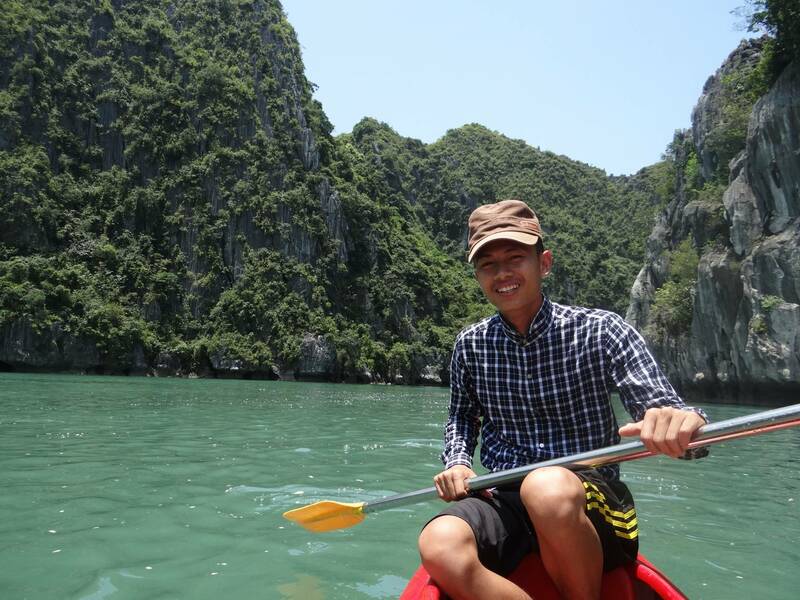 Next on the agenda is kayakking. 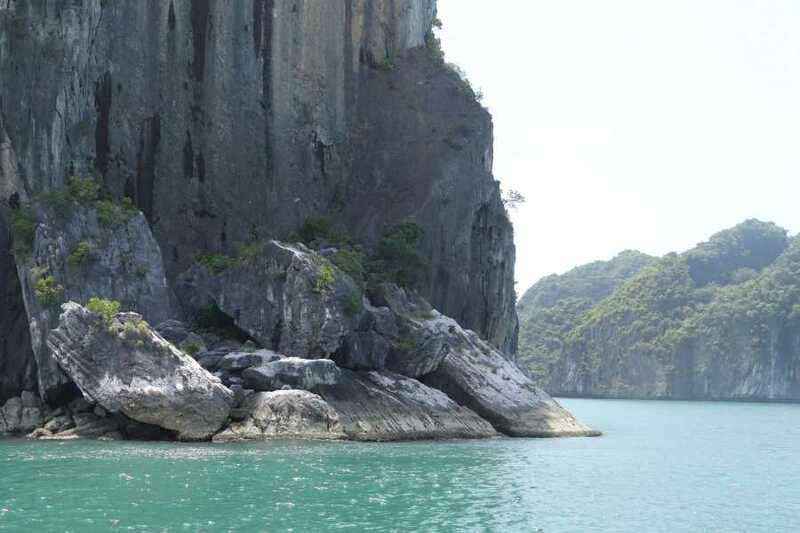 Explore the scenic area, the narrow lagoons and visit the tunnel cave, called Hang Ca (the Bat Cave). 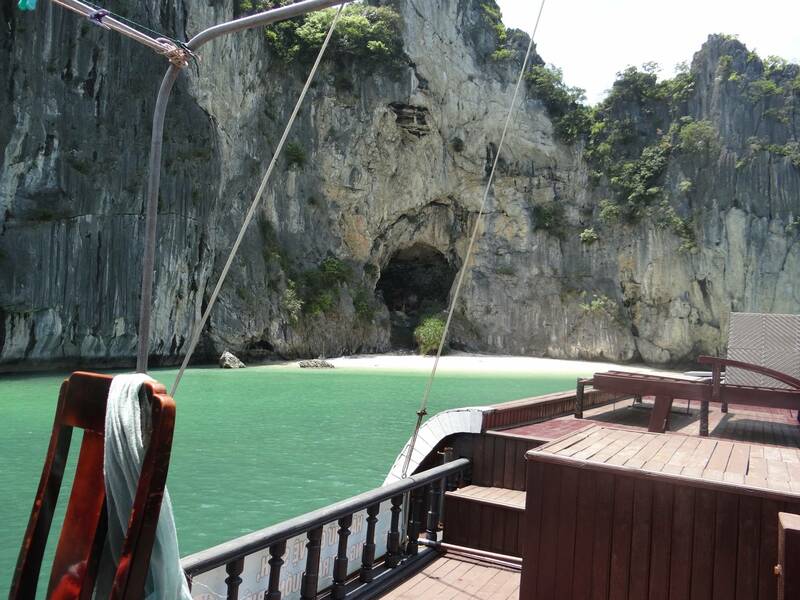 Our cruise continues to the Bai Trai Dao Beaches. 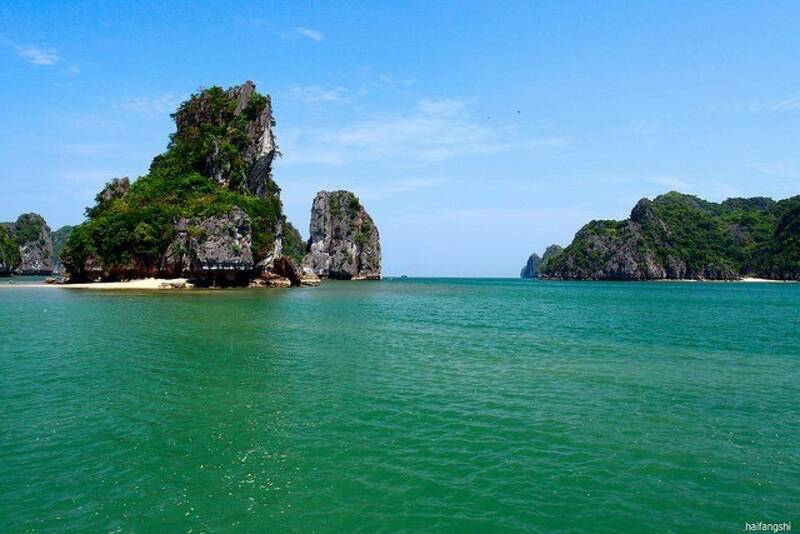 Enjoy your free time by swimming and relaxing. 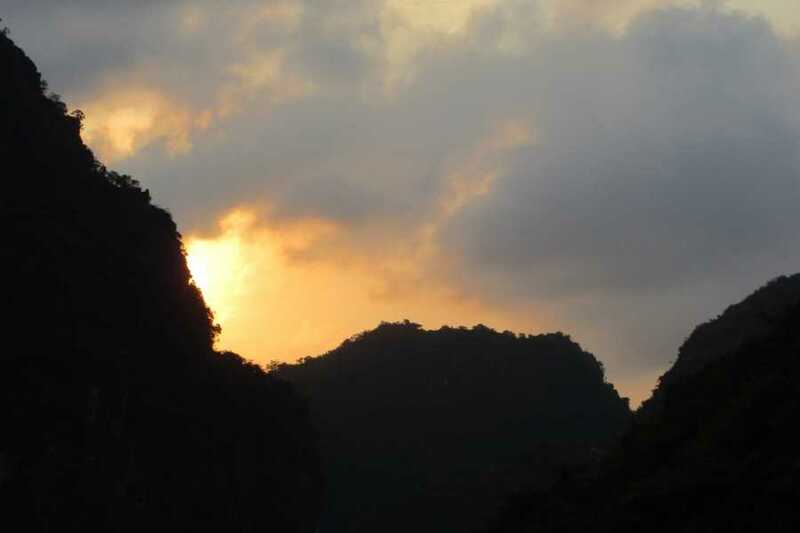 The stunning sunset will tell us it’s time to get some well deserved sleep. 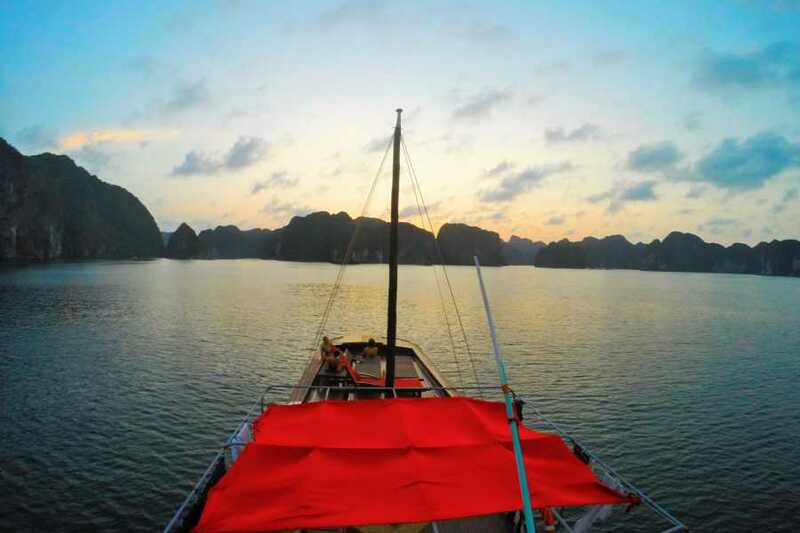 Wake up to see dawn, have breakfast and proceed your trip through the stunning Halong Bay in the morning. 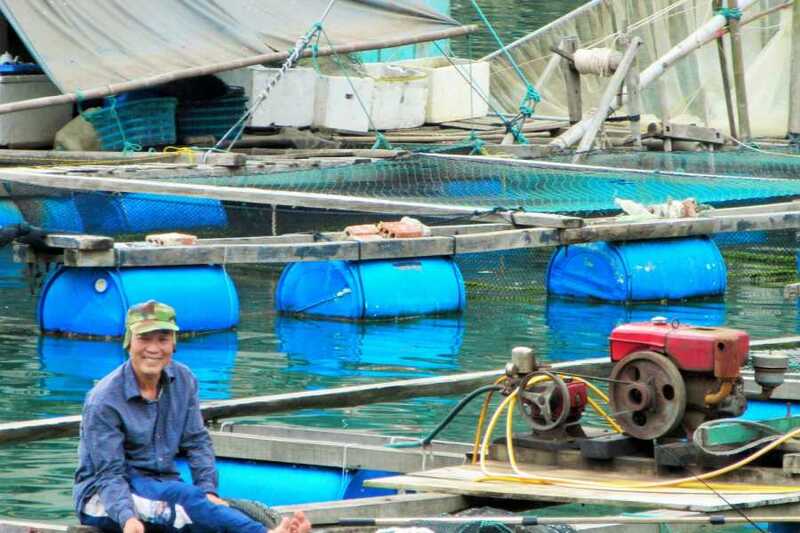 Visit the local floating fish farm and see how locals life their life. 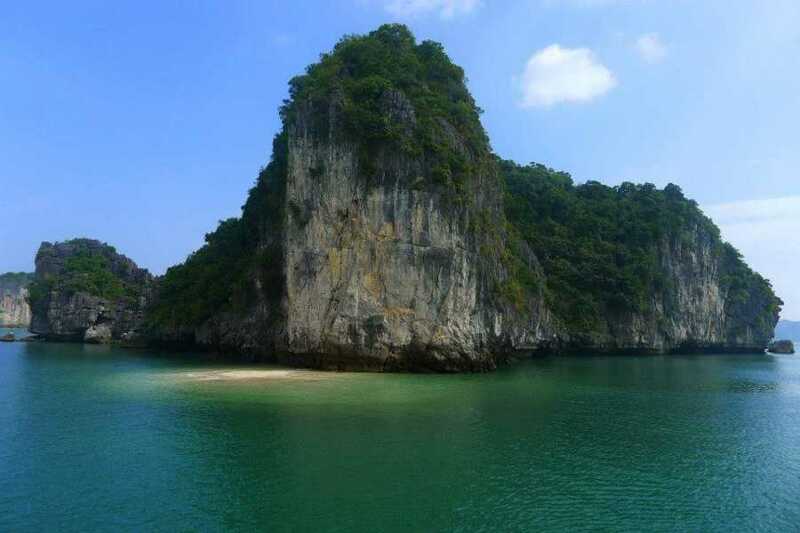 There will be time for a last swim and then we arrive at Cat Ba aroud 11AM. 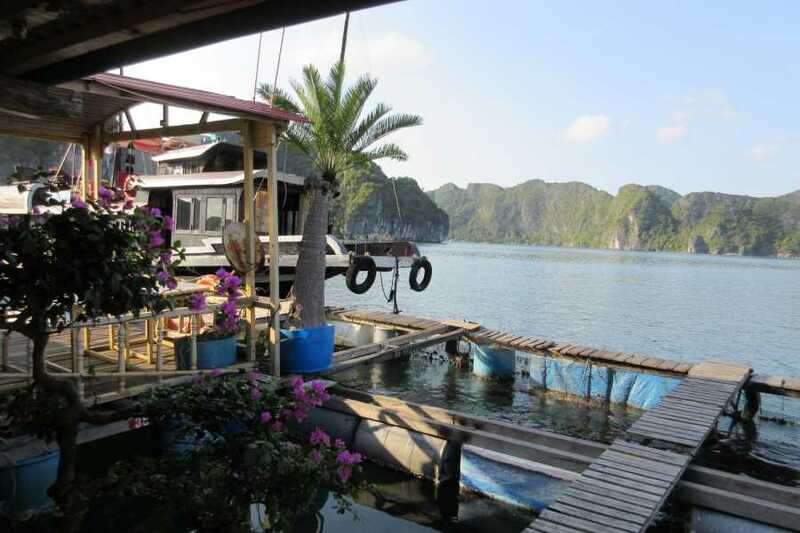 We will enjoy lunch on the harbor and enjoy your free time at Cat Ba can be filled in by exploration by bike of by foot. 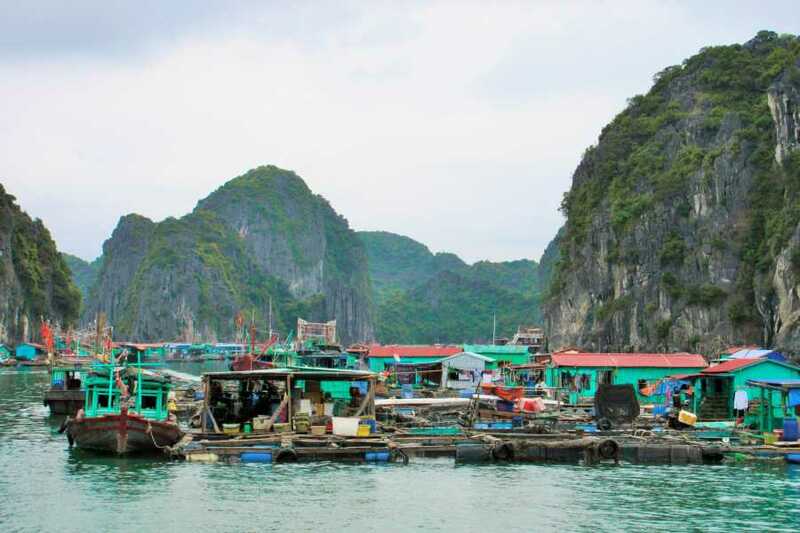 Visit their beaches or head to the market to see local vegetables and meat, and other local products before we take the hydrofoil back to Hai Phong in the early afternoon. 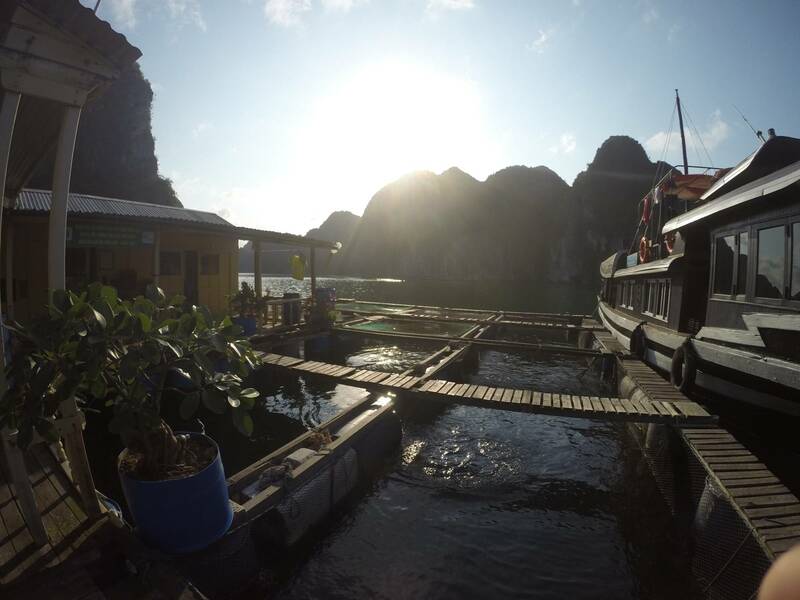 The bus back to Hanoi arrives around 5:30PM. 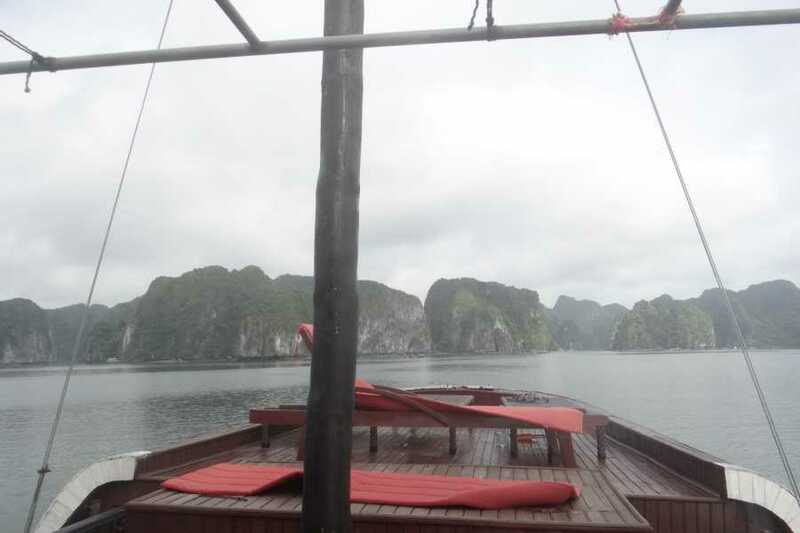 11:00AM: Arrival in Hai Phong Harbor. 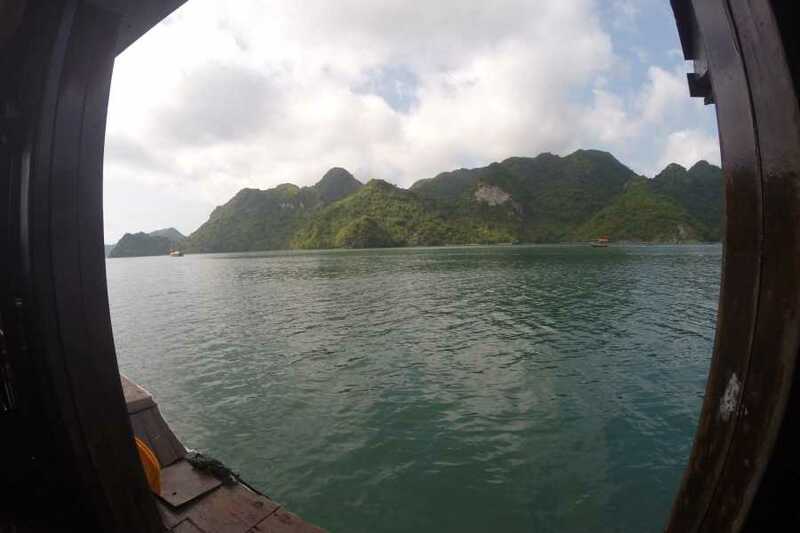 11:15AM: Take hydrofoil (speed boat) Cat Ba Island. 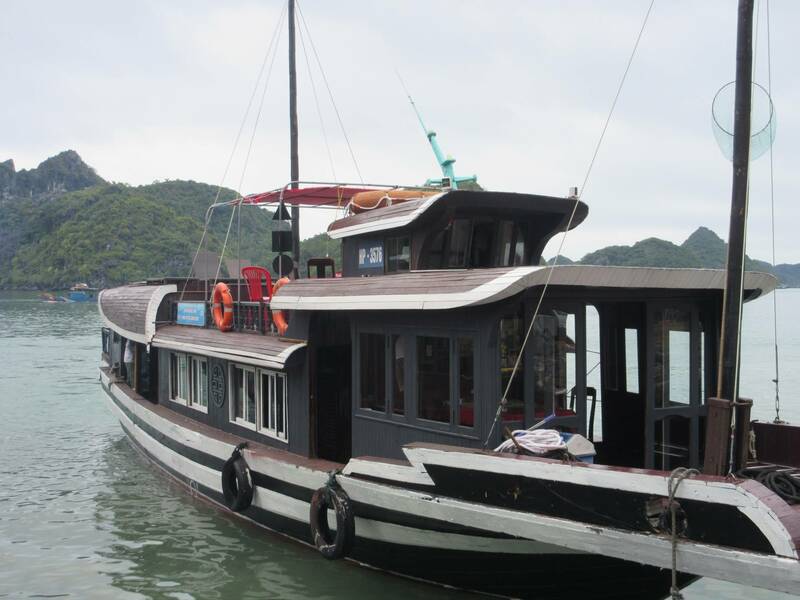 12:00PM: Arrival at Cat Ba Island and get on your Private Cruise. 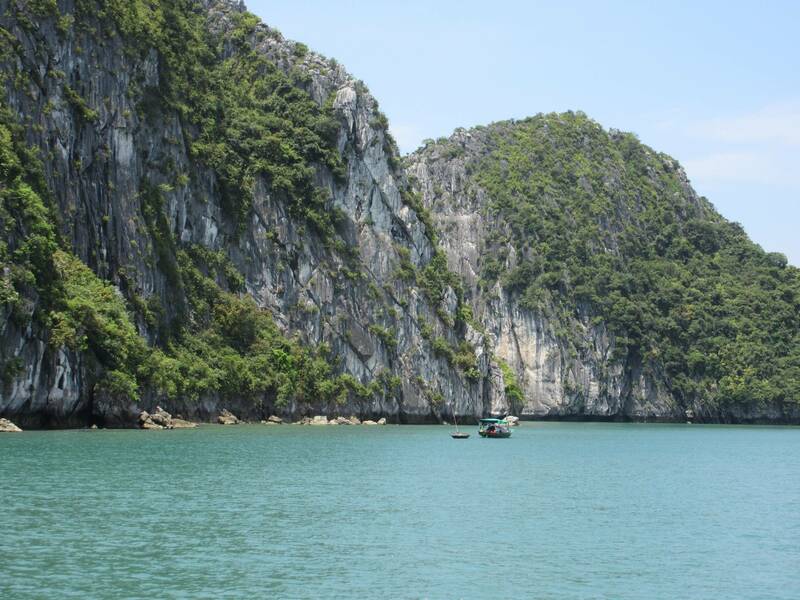 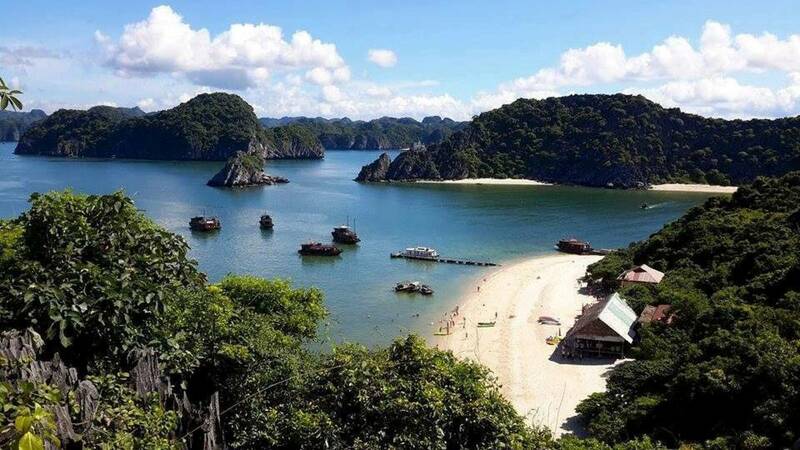 12:15PM: Start your trip at the beautiful and non-touristic area of Halong Bay. 01:00PM: The Cruise will take you to to the floating village. 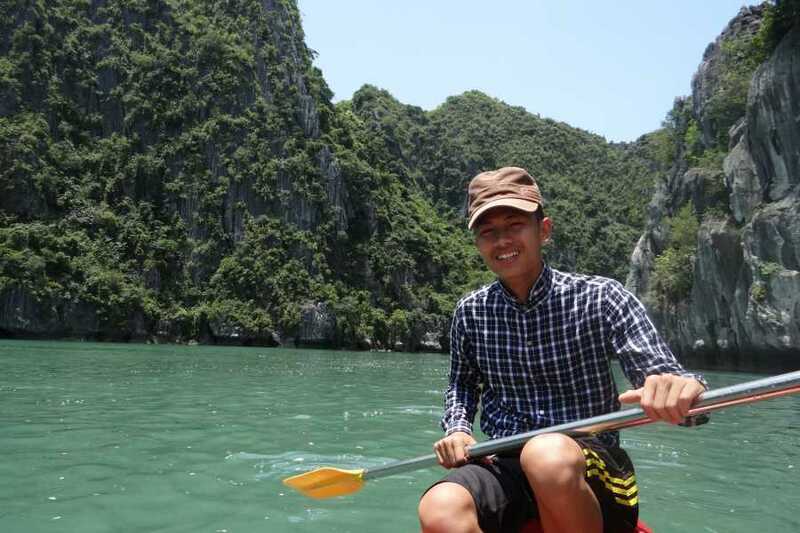 02:30PM: Get the kayaks out to explore narrow lagoons and visit Hang Ca cave. 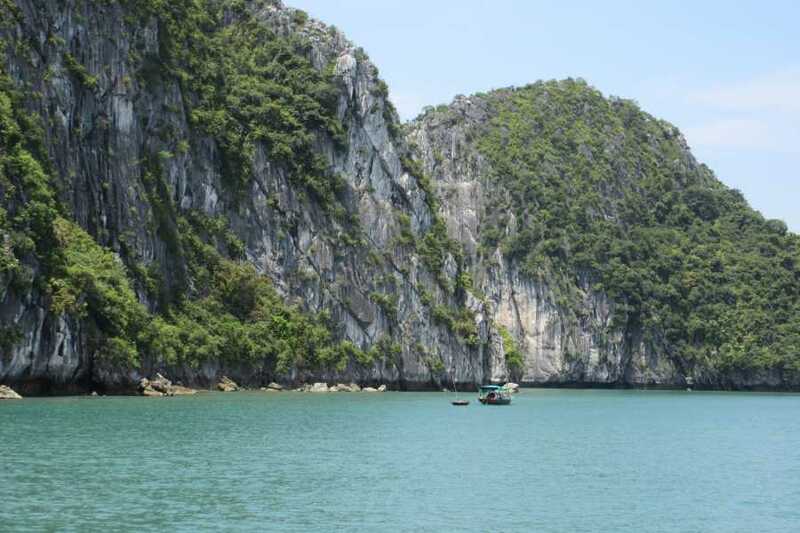 04:30PM: Visit and relax at the Bai Trai Dao beaches. 08:00PM: Anchor at a calm water area for dinner and to get some sleep. 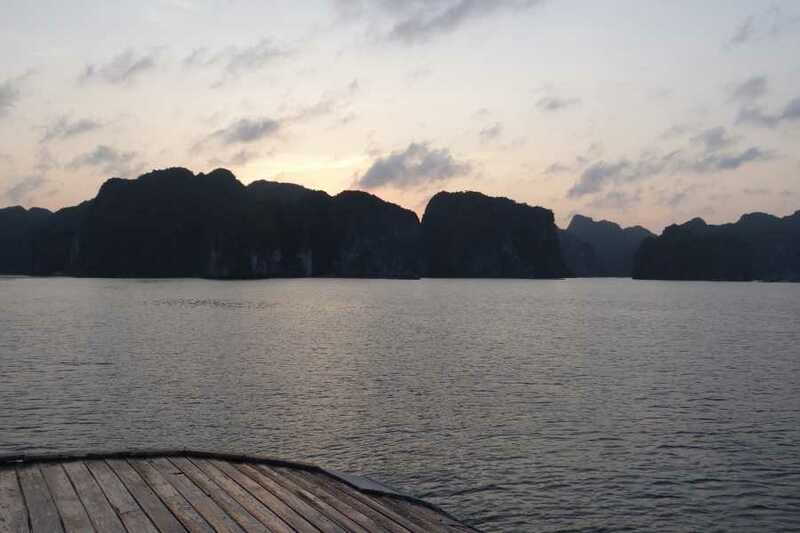 06:30AM: Wake up and see dawn. 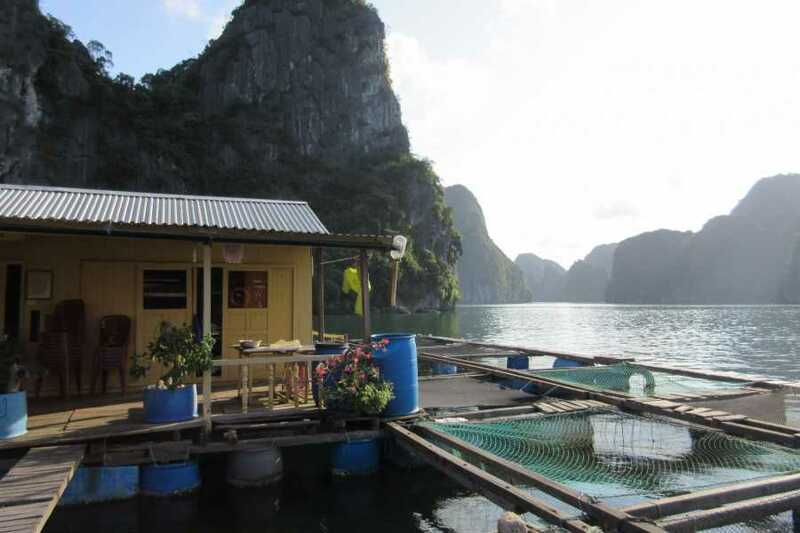 Enkoy breakfast! 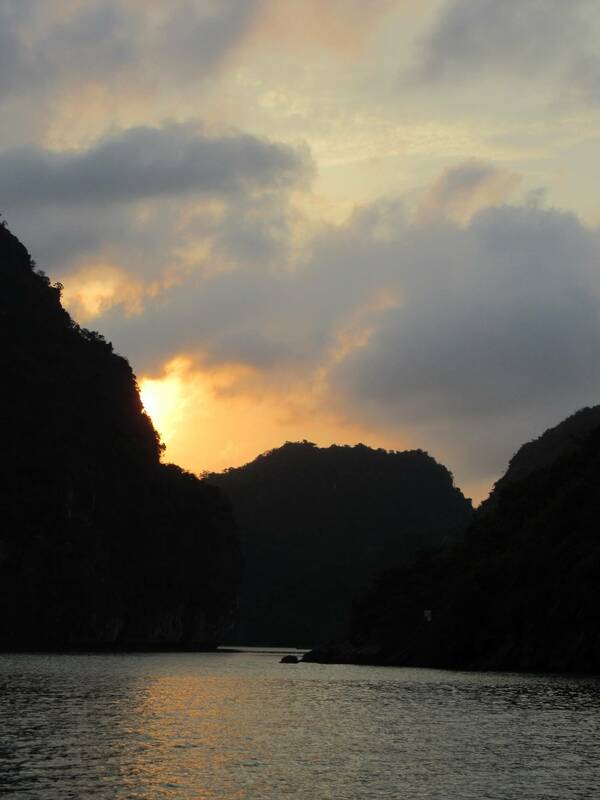 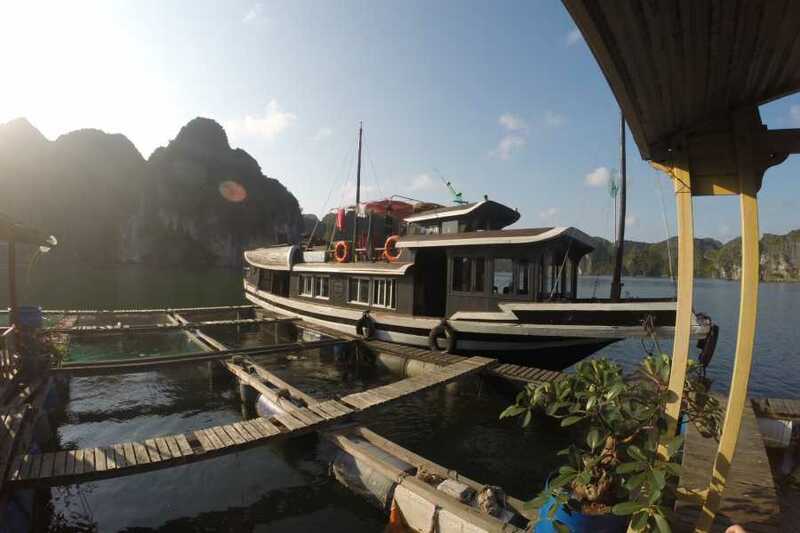 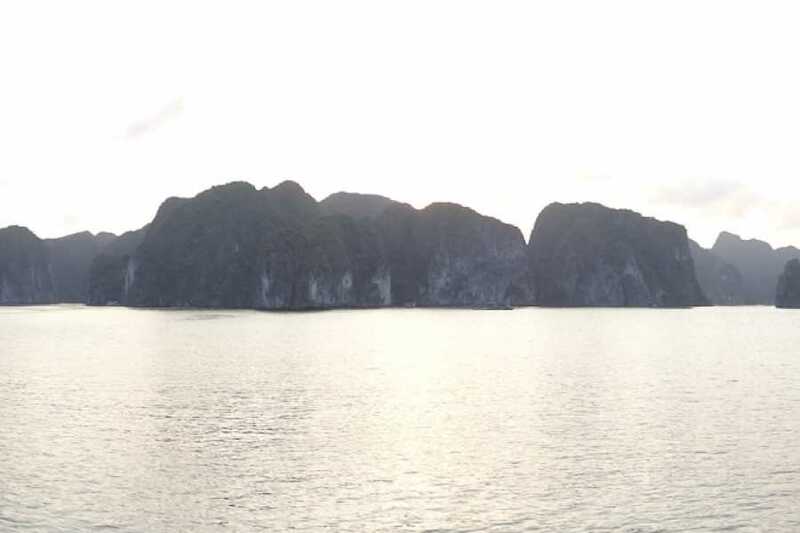 08:00AM: Continue your trip in the quiet area of Halong Bay. 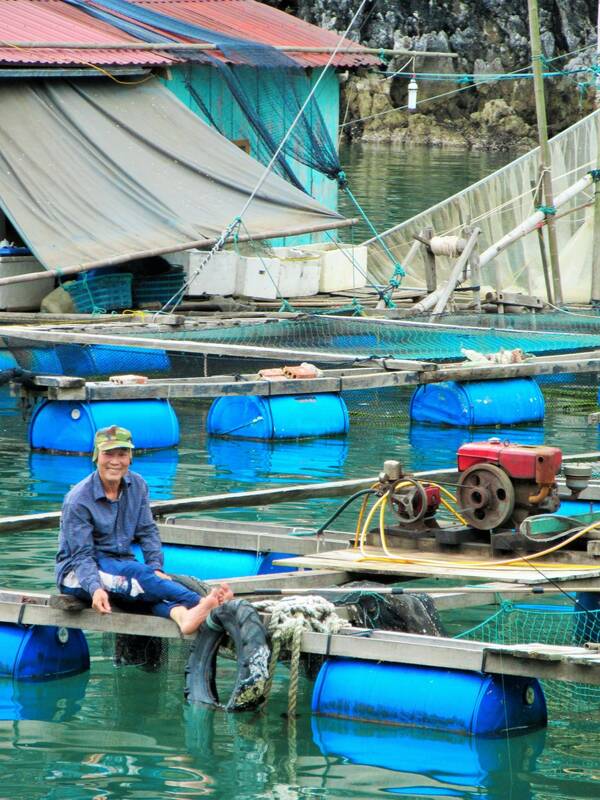 09:00AM: Visit the floating fish farm, see how the locals life their life. 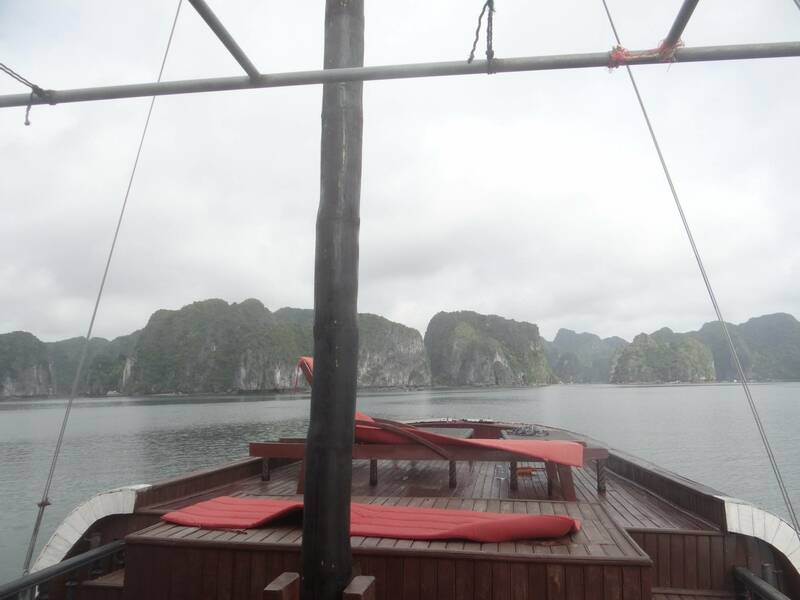 11:00AM: Have a last swim before we get off the boat at Cat Ba Island. 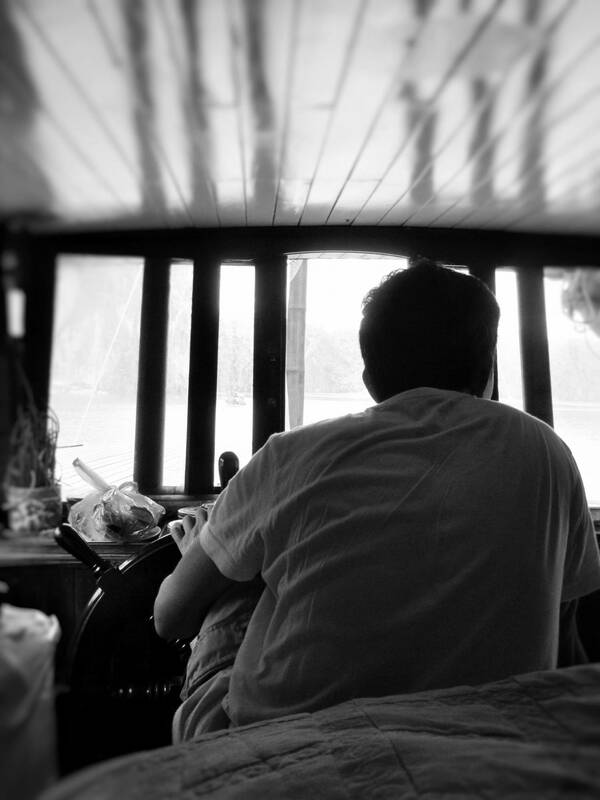 Free time! 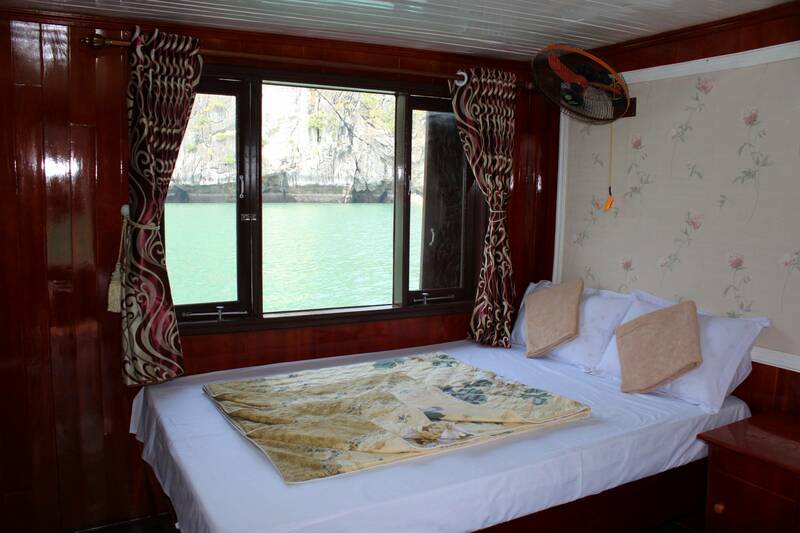 12:00AM: Take the hydrofoil to Hai Phong and get on the private car/bus back to Hanoi. 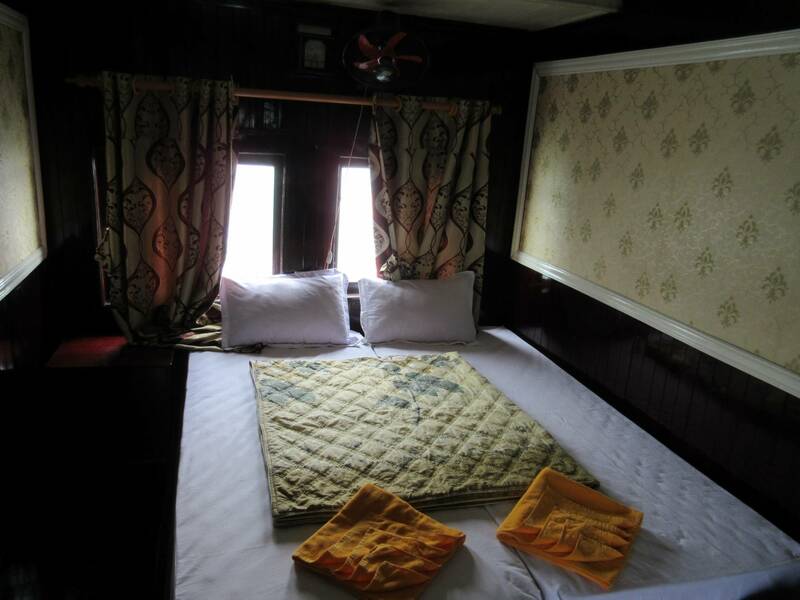 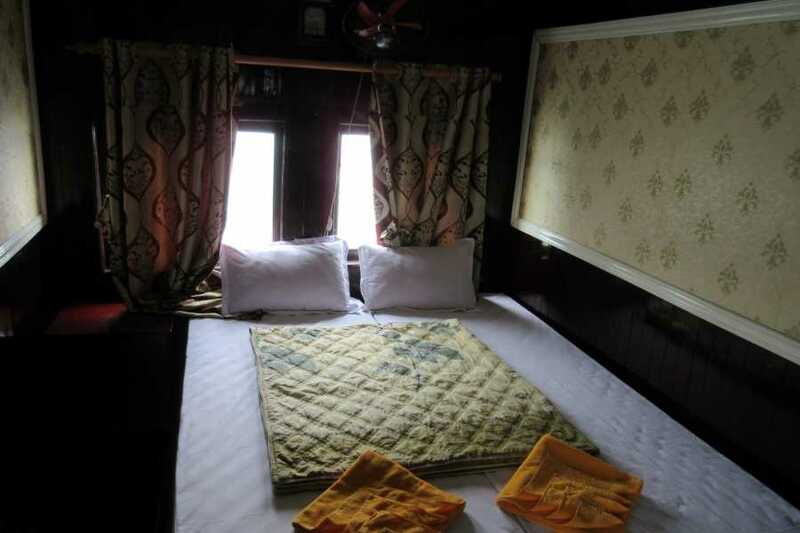 Optional: Drive to Ninh Binh for Tam Coc trip or you can get to Sapa by night train from Hanoi in the same evening. Just les ut know and we arrange it! 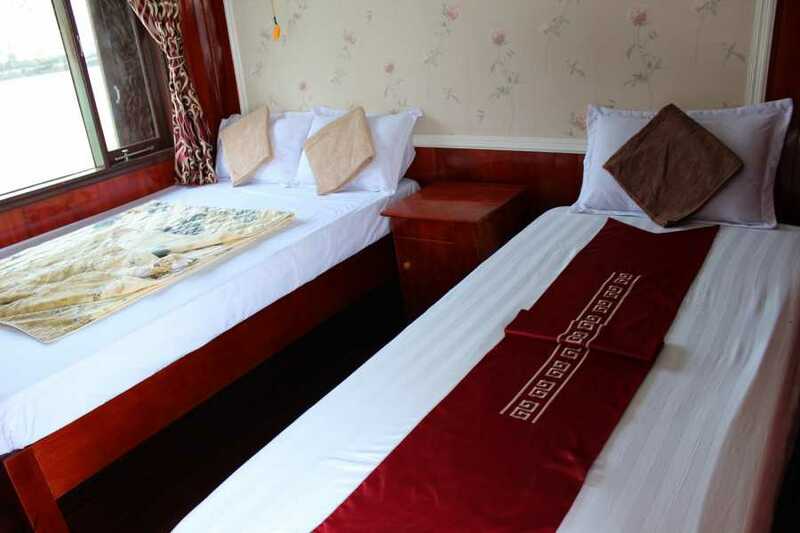 Pick-up/drop-off for tours from Hanoi: at your hotel in the Old Quarter or max 2km away from the Old Quarter. 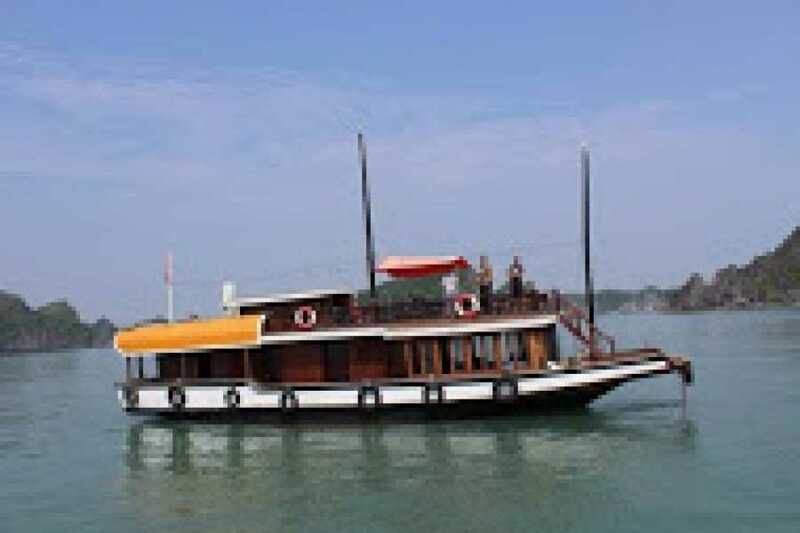 Extra charge will be applied for further areas. 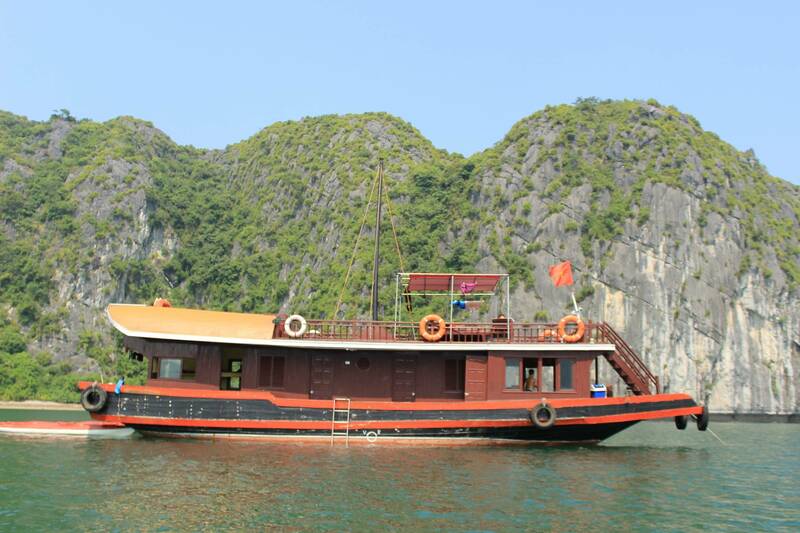 This is a Private Cruise Tour. 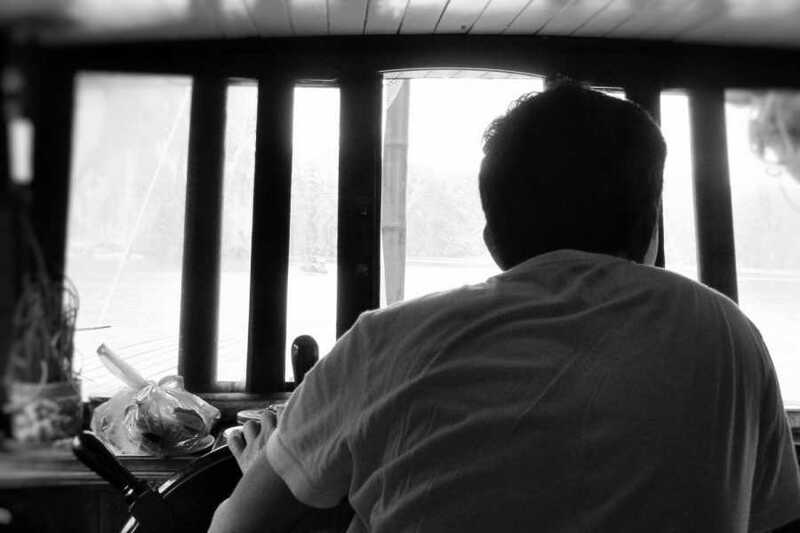 There only people on board will be your group, the captain and his crew. 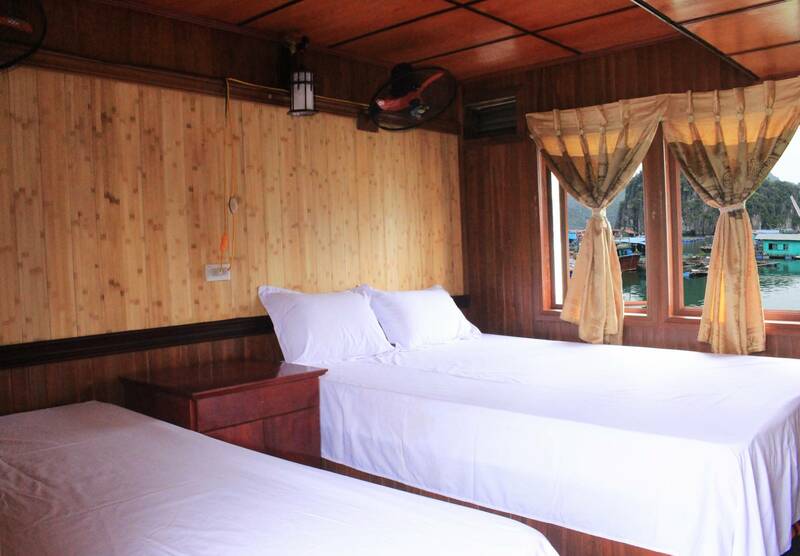 A perfect option for small groups who value their privacy. 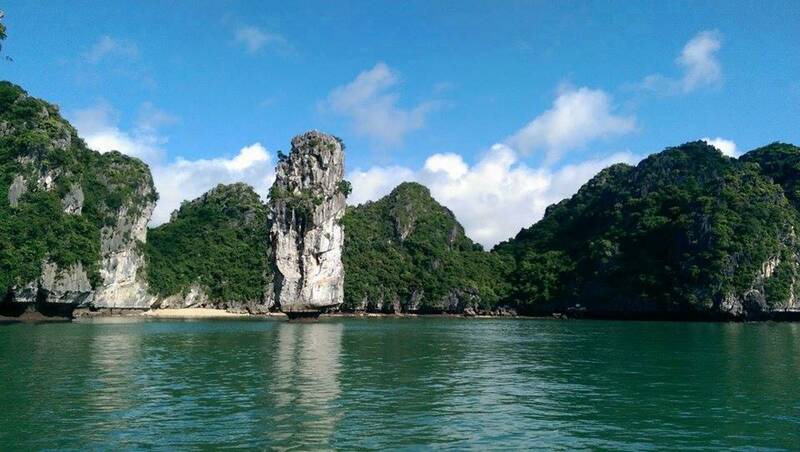 The price per person depends on your group size because we only organize private tours, no open tours. 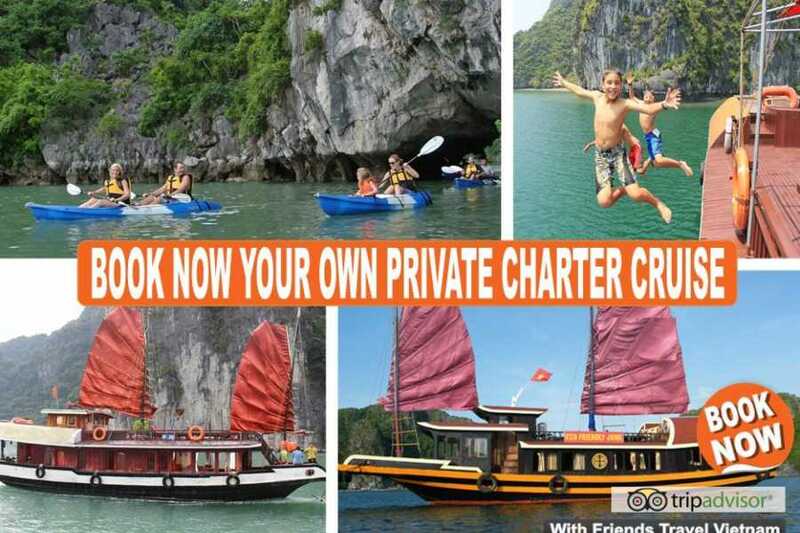 Please tell us your group size then we will send you the cost. 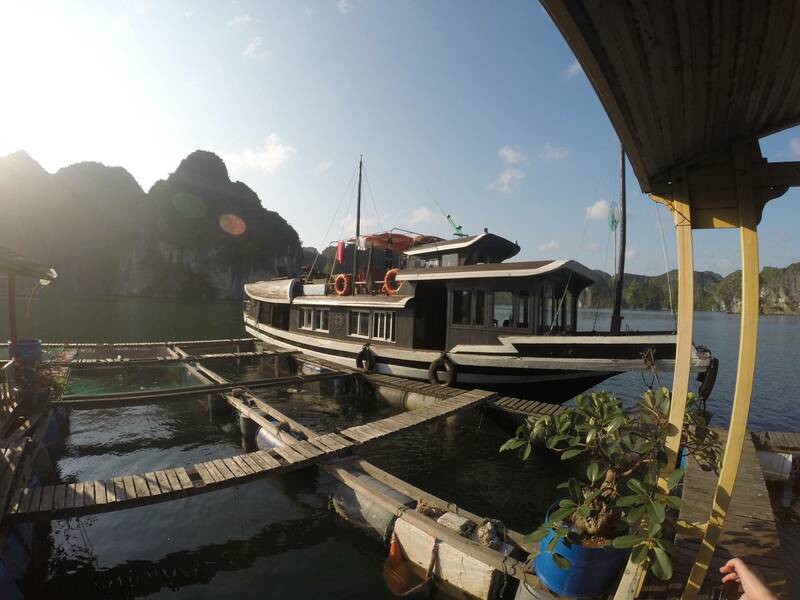 Passport, change of clothes, sun-glasses & hat, toiletries, sun-block, insect repellent, flashlights, personal first aid kit & medicines, small VND notes for buying drinks. The trips can be flexibly changed due to customer’s demands, physical conditions and the tide levels (weather as well). 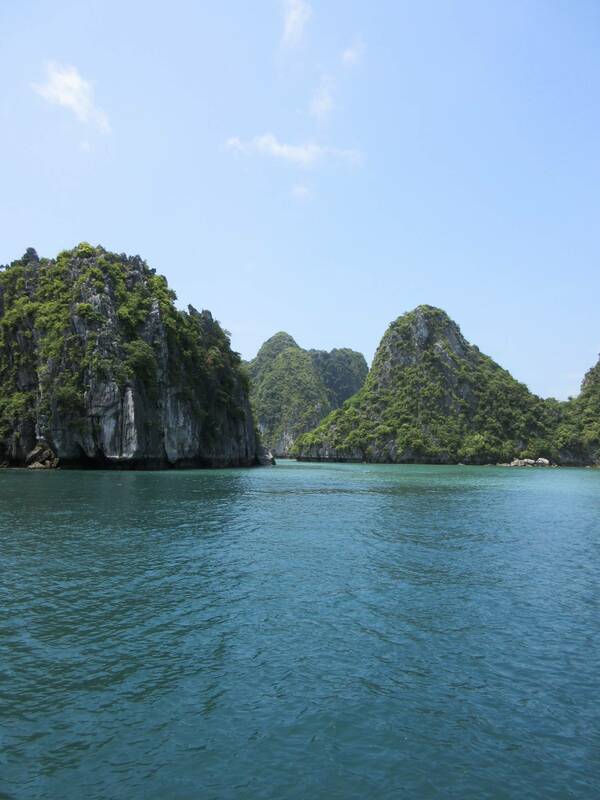 Please do not hesitate to email us to customize your holiday. 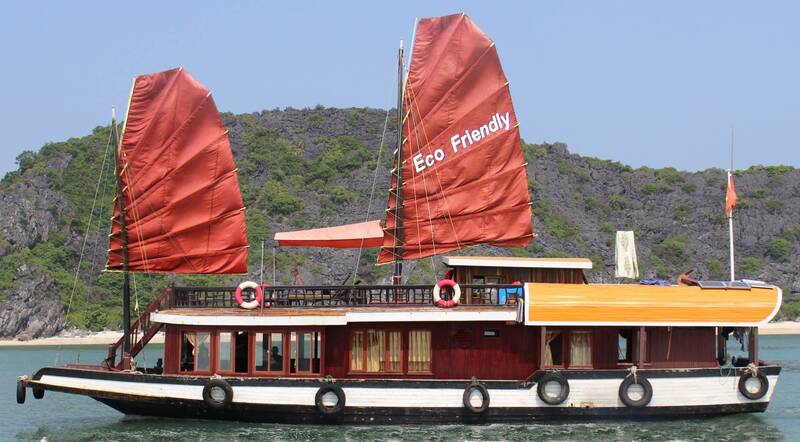 As we are eco-friendly we don't have airconditions on board and we using our solar panels for the wind-fans.